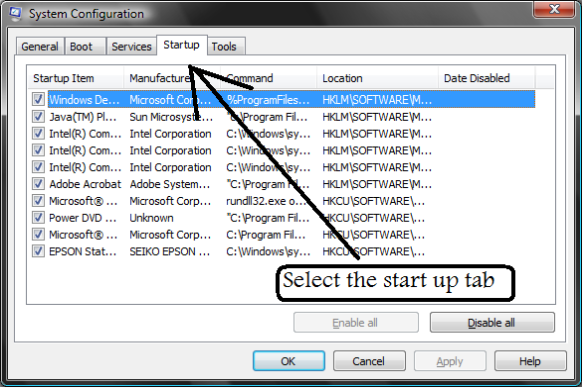 Turning windows vista start up items on or off can be a simple way to optimize your start up. 1.Click on the windows start button. 2. 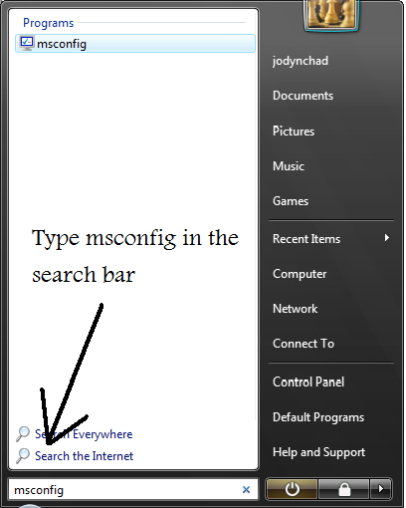 Type msconfig in the search box, then press enter. 3. A system configuration box will pop up. Select the Start up tab. 4. 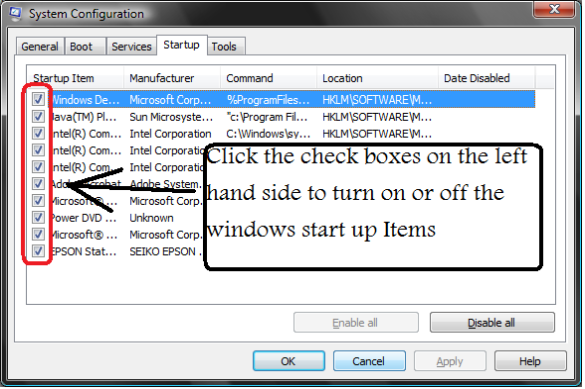 Click the check boxes on the left hand side to turn on or off the windows start up Items. 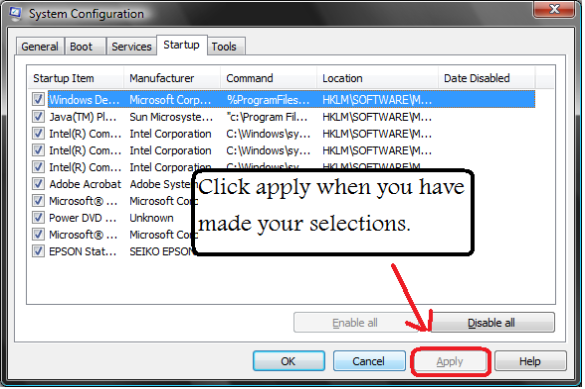 6.After you apply click the OK Button. After you click OK widows will prompt you to restart your computer. You can choose to restart now or later. If you restart now your computer will reboot and the settings you modified will take effect. If you choose to restart later nothing will change till your next reboot.